My newest venture into the world of untried produce is Savoy Cabbage. I’ve seen this vegetable many times, but choose instead the well-known and less expensive generic cabbages. I realize I have probably unknowingly sampled Savoy cabbage in a restaurant or company dinner out, but I have not purchased or cooked one. 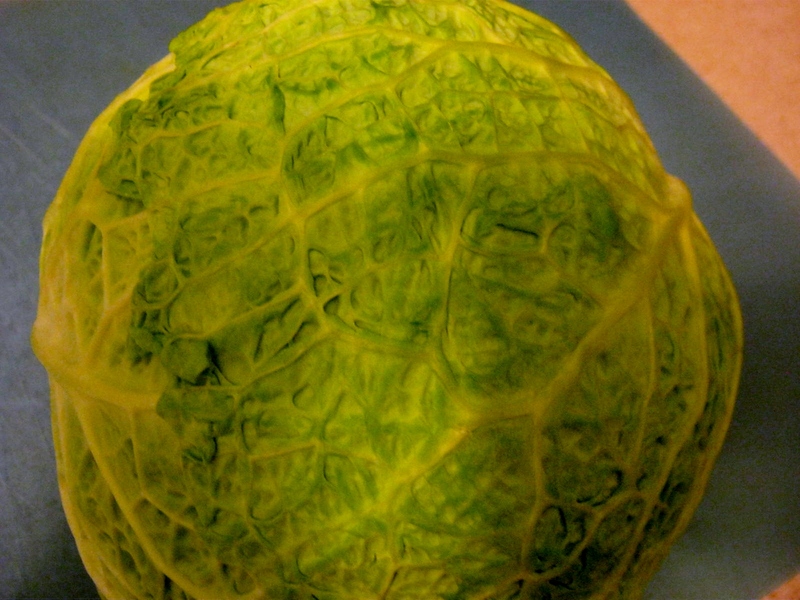 The cabbage itself is much prettier than its plainer cousin; the leaves are frilly and a beautiful lime green. I decided boiling or sauteing alone was out of the question and searched the Internet for an alternative. I didn’t find anything outstanding so I added a hodgepodge of items from fridge and pantry and came up with my own version of a Dijon sauerkraut. I didn’t measure or write down a recipe, but these are some of the items I added: half a can of beer, Dijon mustard, a dash or two of Worcestershire sauce, some sea salt, freshly ground pepper and herbs. 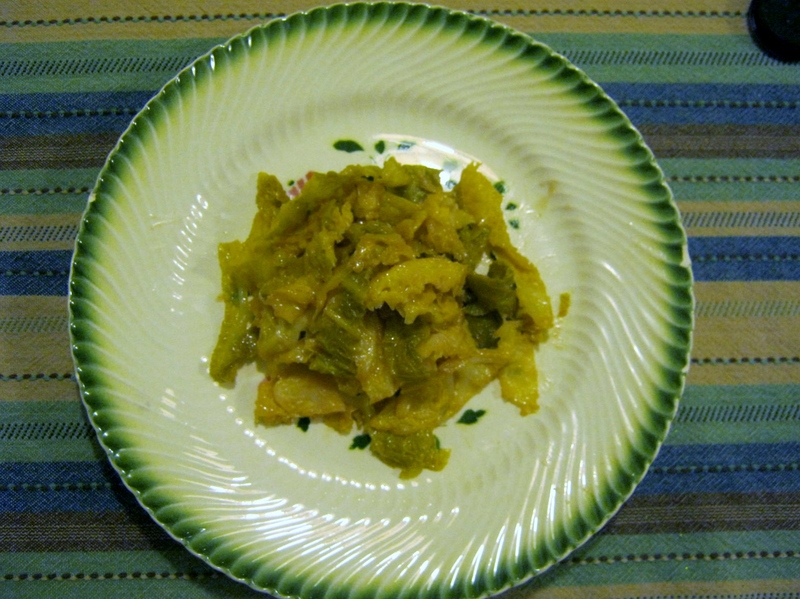 I cooked everything in a saucepan until the cabbage was softened and the liquid condensed. The finished sauerkraut dish wasn’t very pretty; the presentation on par with the canned or bagged sauerkraut I often have on hand, but the taste was much more yummy. The Dijon mustard added substance and the beer gave the dish a surprising tang. Best of all, the homemade sauerkraut was delicious cold. I also appreciated the bigger pieces of cabbage compared to the stringy strands I find in a can. The big question: Will I buy Savoy Cabbage again? Absolutely. I loved it. Yes, I’m glad you mentioned that, I added a quote on the nutrition in a Savoy Cabbage to the post. Blessings on your day! Give it a try…the color is so pretty. It fades as it cooks, but still turns out a prettier green than ordinary cabbages.